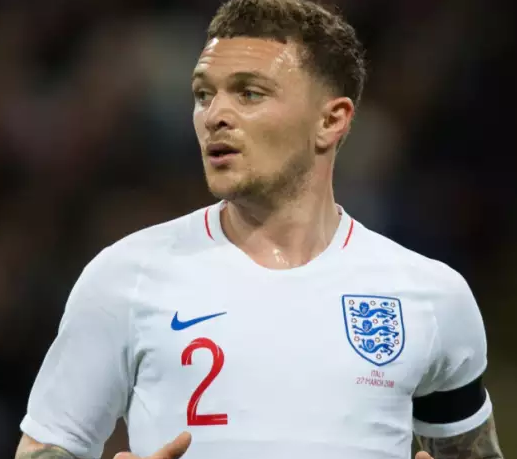 Kieran Trippier is an English professional footballer who plays as a right back for Premier League club Tottenham Hotspur and the English National Team. His shirt number is 2. 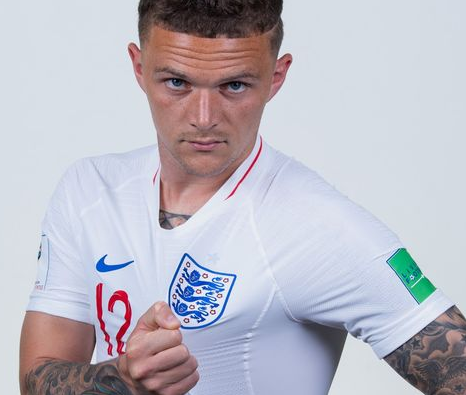 Kieran Trippier full name is Kieran John Trippier who was born on 19 September 1990 at Bury, England. He spends his childhood in summer seat in Rams bottom. He studied at Woodhey High School. Trippier grew up along with three brothers Kelvin, Curtis, and Chris. At the age of 8, Kieran Tripper was scouted by United but he chooses to join Manchester City’s academy. At age of nine he finally joined Manchester City. He signed his first professional contract in 2007. In 2007-2008 seasons he became regular in team and was part in team that won FA Youth club. Trippier joined Championship club Barnsley in February 2010 on one moth loan. He made three appearances during the loan. His loan was cut off after he had injury but he again rejoined Barnsley on six-month deal. He made his second debut on League Cup. He agreed to stay in club for 2010-2011 seasons. He made forty-one appearances in all competition. He also won the Young Player of the year award. Trippier joined Championship club Burnley in July 2011. He made his debut on August 2011. He scored his first goal in September 2011 and first league goal in December 2011. He was also nominated for the Championship Player of the Month award in December 2011. He was signed permanently by Barnsley. He played in all 46 league games in the first season and also was going to win Burnley Player of the Year award. He was also named in the Championship PFA Team of the Year for 2012-2013. He was again named in the Championship PFA Team of the Year for the consecutive seasons and gained promotion to the premier league. Trippier signed Premier League Club Tottenham on June 19 2015. He appeared in six games for Tottenham during the Premier League season. He also played in the very minute of Tottenham Europe League Championship. He made his Championship League debut in 27 September 2016 on a group stage match. He was also called up for England national squad. In 2017-2018 seasons a new five-year contract was agreed by Trippier. He was regular in staring line up of the team in 2017-2018 seasons although he missed the opening game. He also signed to Tottenham and impressed by his performance during the UEFA Championship League home match against Real Madrid on 1 November 2017. Trippier was called up by England at under 18 level of November 2007 at Priest Field Stadium. He made his debut. He then went to under-19 squad on November 2009 UEFA European under-19 Championship qualification match. He was in team as the squad for 2009 UEFA European Under-19 championship finals. He was also named in the twenty-one-man squad for 2009 FIFA U-20 World Cup. He also received his first call to the under 21 squad for 2011 UEFA European under 21 Championship. Trippier was called up to senior team for the first time for 2018 World Cup qualifier. He was also named in 23-man squad England national team squad for the 2018 FIFA World Cup. Tripper height is 1.78 m and weight is 71 kg. His net worth is around $7 million dollar. The star footballer, Kieran Tripper, 27, is a married man. Tripper tied the wedding knot with his long distance girlfriend named Charlotte in Cyprus in June 2016. Again after 6 months, they become proud to be parents of birth child named Jacob.